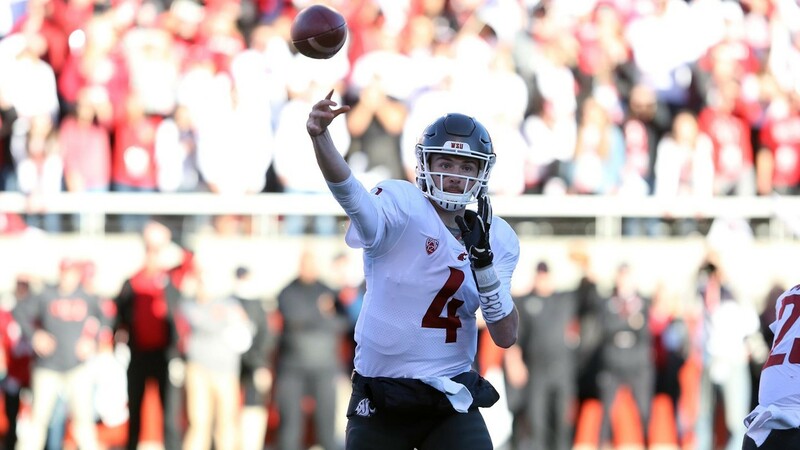 Luke Falk, the Pac-12's all-time leader in passing yards (14,112) and touchdown passes (118), takes his third and final shot at beating Washington on Saturday at Husky Stadium; a victory would give WSU the North Division title. For all that Luke Falk has accomplished in a record-shattering four years in Pullman, there's one thing he's never done: beaten the Huskies. In fact, he hasn't come close: Washington State has been outscored by an average of 23 points in his two Apple Cups. Falk's last chance, and that of 19 other seniors, comes Saturday at a rainy Husky Stadium (5 pm; KAYU 28, KXLY 920 AM) in the 110th battle for state bragging rights, against a Washington team that lost its chance to win consecutive Pac-12 North Division titles when Cal came up three points short at Stanford last Saturday. Now the Cardinal — who physically dominated the Huskies in the second half two weeks ago, holding on for a 30-22 victory one week after getting Falked 24-21 on Senior Day in Pullman — are UW's biggest fans as well. It's the second straight year that the Cougars, ranked 14th in the AP Top 25 poll, not the No. 15 Huskies, play for the division championship and not merely the Governor's Trophy. On Saturday, they'll opt for a traditional gray-and-white look, with a splash of crimson. No matter the outcome, it's a Pac-12 title-game rematch next Friday in Santa Clara, California, just a short drive from Palo Alto. South Division champion USC — with the benefit of nearly two weeks of rest, an advantage WSU enjoys this week — rolled Stanford 42-24 on Sept. 9 at the Coliseum, but lost 30-27 to the Cougars less than three weeks later on a nationally televised, frenzied Friday night in Pullman. Falk, poised to keep going where no Pac-12 quarterback has before, extending his records for career passing yards (14,112; eighth in NCAA history) and touchdown passes (118; 10th all-time), hasn't exactly played poorly in his two Apple Cups, completing 61 percent of his passes for 624 yards. Two years ago, six days after being concussed vs. Colorado on Martin Stadium's frigid turf, he watched from the sidelines in Seattle as the Cougars turned the ball over seven times in a 45-10 loss. But his other numbers are telling: three touchdowns in two starts isn't enough, and five interceptions is too many. The same goes for six sacks. 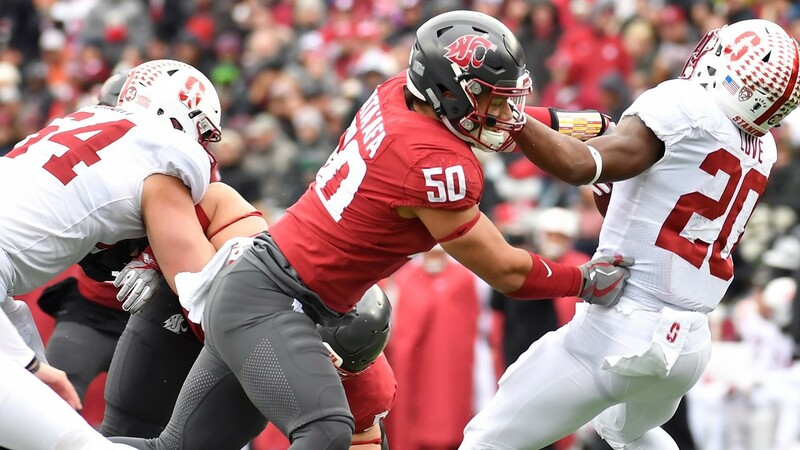 Senior linebacker Keishawn Bierria and the rest of the Washington defense have had their way with the Cougars lately, winning four consecutive Apple Cups and holding Washington State's Air Raid offense to an average of 14 points. The Huskies have felt free to tee off against Falk, pressuring him into mistakes, because they haven't respected the Cougars' ability to run the ball: Washington State has averaged just 36 rushing yards (1.8 per carry) in Mike Leach's five Apple Cups. In their four-year winning streak, they've gashed the Cougs for 205 yards per game, 4.6 per carry, and scored 10 times on the ground to once for WSU. Seniors Jamal Morrow and Gerard Wicks and sophomore James Williams, running behind an upperclassman-dominated line, need to find a way to reassert the Cougs' ground game, or at least run effectively enough to keep Washington's defense honest and Falk upright. One of this offense's weaknesses — protecting the quarterback, which seems almost inevitable, as Falk drops back on nearly 70 percent of his snaps — plays right into a UW strength. WSU quarterbacks have been sacked 39 times for a loss of 390 yards, while the Huskies spread the wealth, bringing pressure from everywhere — among a total of 33 sacks, 17 Washington defenders have at least one, and nine have two or more. This rivalry that dates back to 1900 (there were nine years when the game was not played; two games — in Seattle and Pullman — were played in 1945) has seen wild swings in the past two decades. After the Huskies won six of seven games, the Cougars bounced back to take four of the next five. But Washington has owned the Cougars lately, winning seven of eight, and Leach's arrival in Pullman hasn't made much of a difference. After beating the Huskies 31-28 in overtime in his first Apple Cup, the Cougs have dropped four straight, by an average score of 37-14, only once coming closer than 18 points. 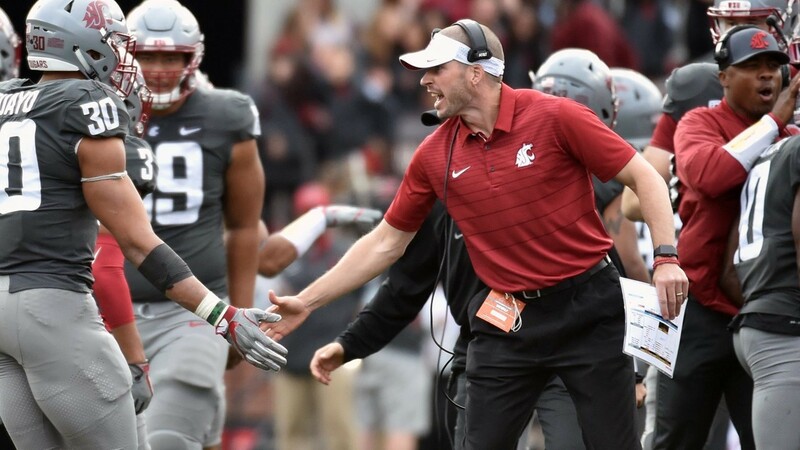 Alex Grinch has driven his "Speed D" to new heights in his third year as Washington State's defensive coordinator; the Cougars' aggressive defense ranks among the nation's best with 94 tackles for loss, 27 turnovers forced and 35 sacks. 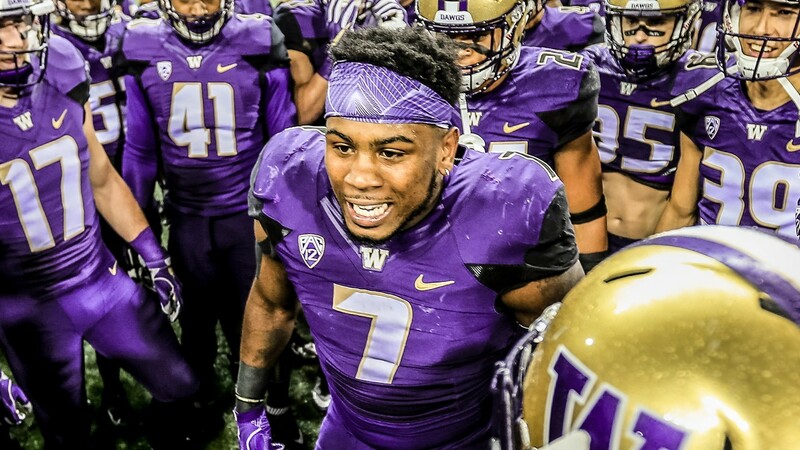 At 9-2, 6-2 in Pac-12 play, this is a good Washington team, with a very strong defense that's given up just 14 touchdowns all year (7 on the ground, 7 in the air) and held opponents under 17 points in eight of its 11 games. But it's not as good as last year's national semifinalists; five key members of that team, four on defense, including three-quarters of the secondary — cornerbacks Kevin King and Sidney Jones and safety Budda Baker — now play on Sundays, or in Jones' case, will as soon as they're healthy. And this UW defense has looked vulnerable lately, as injuries in general (to defensive backs in particular) and the ongoing suspension of senior linebacker Azeem Victor have taken a toll; even considering they held the then-one-dimensional Ducks to just a field goal three weeks ago, the Huskies have surrendered 96 points in the past four weeks against offenses (UCLA, Oregon, Stanford, Utah) not as potent as the Cougars' Air Raid attack. Washington State, also 9-2 and 6-2, has ultimately won not because of its high-scoring offense, but a fast, aggressive, dominant and productive defense. Unlike its UW counterpart, it's established momentum and gained confidence in character-building victories at home against Stanford and at Utah since the calendar turned to November. The Cougars, having put together a modest two-game winning streak after being torched by Khalil Tate at Arizona — Leach, his team down 17-7 in the second quarter, benched Falk the rest of the way — have undeniable momentum, The Huskies, 3-2 down the stretch after a dominant 6-0 start, with a baffling loss at Arizona State and a troubling one at Stanford, needed to score 10 points in the final 58 seconds Saturday night in Seattle to defeat Utah, a team the Cougs had handled with relative ease in Salt Lake City one week earlier. Junior defensive tackle Hercules Mata'afa, driving Stanford's Bryce Love backward, leads a resurgent Washington State defense with 21½ tackles for loss and 9½ sacks; he's recorded multiple tackles for loss in eight of 11 games. And the Cougs, not the Huskies, have the game-changing player on defense; 6-foot-2, 250-pound tackle Hercules Mata'afa could be the first WSU defender drafted in the first round since Deone Bucannon in 2014, whether he breaks hearts all over Eastern Washington by declaring for the NFL after this season or decides to stick around for his senior year. Mata'afa plays in the middle of the Cougars' "Speed D," masterminded by third-year defensive coordinator Alex Grinch, but projects as a hybrid defensive end/outside linebacker in the NFL, lining up all over the place and wreaking havoc. He's been consistently productive, using his quickness and strength to overpower (or simply avoid) linemen who often outweigh him by at least 50 pounds. His raw numbers — 41 tackles, including 29 solo stops, and 24½ tackles for loss for 91 yards; 9½ sacks for 50 yards, with five more quarterback hits; two forced fumbles and one recovery — don't do justice to just how disruptive he's been, how many offensive game plans he's shredded through sheer force and determination, and the remarkable balance and leverage a background in wrestling brings to his game. Mata'afa leads a defense responsible for 94 tackles for loss for 350 yards, 35 sacks, 38 QB hits and 27 turnovers (13 fumbles), resulting in 102 Washington State points. The Cougars have turned the ball over 25 times, including 16 picks, but the defense has limited the damage, giving up only 51 points. And this unit knows how to get off the field, at its best when it's had to be, holding offenses to a 25-percent success rate on third down, second in the nation. Containing UW junior running back Myles Gaskin — who has carried the ball 48 times for 178 yards and three TDs and caught five passes for 40 more yards in the past two Apple Cups — has to be a priority for the Cougars' defense. 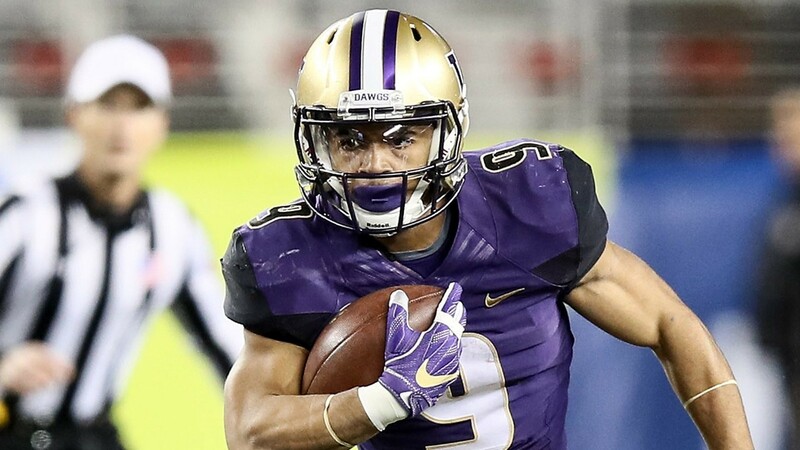 If they can slow the Huskies' ground game — particularly Myles Gaskin, who can catch the ball out of the backfield (120 all-purpose yards per game) and has found the end zone 18 times — while generating pressure on junior quarterback Jake Browning, who has been sacked just 15 times and thrown only five interceptions, the Cougars have a good chance to win. Especially if they care of the ball themselves. But even if they turn it over a couple of times, this defense can bail them out, holding a potent UW attack to three points, not six. 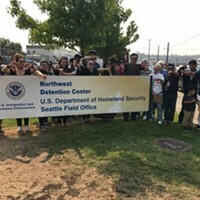 Dante Pettis, whose nine career punt returns for TDs is an NCAA record, is also a dangerous deep threat, though the Huskies' receiving corps drops off after him. Watch the chess games between — and halftime adjustments from — Pete Kwiatkowski, UW head coach Chris Petersen's designated defensive coordinator, and Leach, who offered some wedding advice during a press conference this week and calls his own plays. And between Grinch (don't be shocked if he's in the running for some head-coaching vacancies in the not-too-distant future) and Washington offensive coordinator Jonathan Smith, also QB coach, who specialized in tormenting the Huskies when he quarterbacked Oregon State 15 years ago. 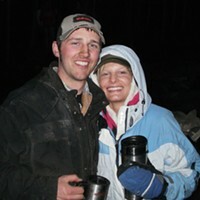 Smith is another future head coach, a new branch on Coach Pete's coaching tree. Including three bowl games, this will be the 75th game Leach has coached in his six years in Pullman. The Cougars have failed to score at least 15 points in only 10 of them, but two have come against Kwiatkowski's defense in the 2014 and 2015 Apple Cups. A victory, especially as a 10-point underdog in hostile territory, would mean more than just ending a four-year skid; it would be the sixth 10-win season ever for WSU, and the first since the 2001-03 teams put up back-to-back-to-back double-digit campaigns. It also would keep alive the possibility of a dozen victories; the Cougars have never won 11 games in a season, let alone 12.